CHAIRMAN’S REPORT for the 1st year since our inauguration as a registered charity one year ago. Our concentration for the year ending 2013 was the creation and building of our two day centres in Ashford and Folkestone. Lives of the elderly have been transformed for the better with social activity, free advice given, interpretations provided with hospital trips and a Skype link to Nepal. Above all new friends have been made and everyone can look forward to good and pleasurable events. Our fundraising has been built upon an ever increasing data base of standing orders and events. We are grateful for the use of our Vice President’s barn at Challock. It is great to have the support of Amanda Cottrell, who is the Deputy Lieutenant of Kent, the Queen’s representative and the only person who has won an honorary degree at both of the Canterbury Universities. We were disappointed to just break even at the Challock Goose Fair despite providing entertainment and serving a good curry. We did however collect over £1,000 at Diwali thanks to some very generous donations from Ashford families. Four trustees of the Gurkha Peace Foundation, Charlotte, Bhim, Prem and I together with Dev Pun and a group of fifteen of us made a life changing trip to Nepal. We all paid for the flight ourselves; it just cost me £2,000 but I know it cost Prem, Bhim and Dev Pun much more. The trip was brilliantly coordinated and we identified ten projects that we plan to support. These included the one and only blind school, a project for deaf children and another for handicapped children plus a number of hospitals and schools. A fourteen years old girl with no arms walked for two whole days with her mother and neighbours just to meet us. I thought if she can walk that far surely I can walk the thirteen miles on the Gurkha Walk to sponsor her. These two girls use their toes and mouth to write with. They are intelligent and we have located a school that will educate and possibly teach them to use a computer. Our hearts were touched by the blind school so we gave them £270 just as a starter from our spending money before we do much more in the future. We were met with love and kindness wherever we went in Nepal. We did a great deal of net working and met the representatives of other charities, some of which we hope to work with in the future. We were impressed with serious attempts to create new businesses such as the tea plantations run by Gopal’s family and the silver works that employs youngsters who are deaf or have been abused. They make necklaces, bracelets and ear-rings to sell abroad. Most importantly of all we had three meetings with leading members of the new Nepalese Government. On several occasions we were joined by Congressmen and we were mentioned several times in the National papers and radio. Monies that had been collected independently by Gurkhas in about it the U.K. were handed over to the wife of a man who has been sentenced to death in Saudi Arabia. 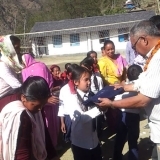 Donations were also passed for several projects in Nepal and we travelled many hundreds of miles within the country. Although I knew of the incredible work that my colleagues do here in Britain I had little idea how much they have done for Nepal. 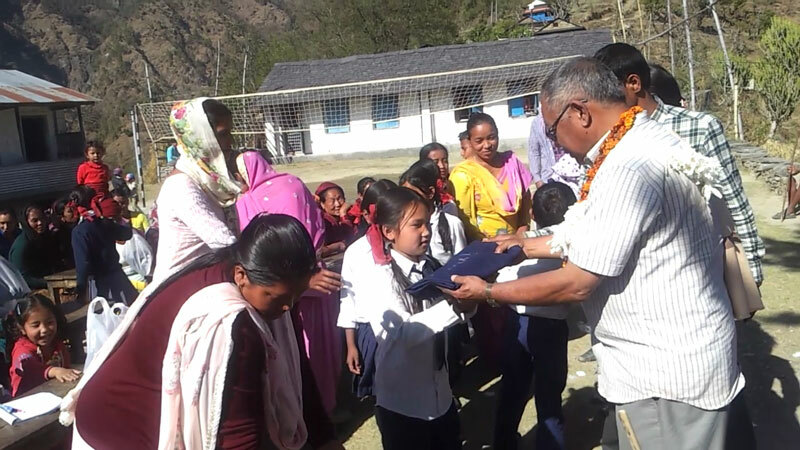 Prem’s father created the first hospital and school in his district and Bhim, Dev Pun and Gopal have also contributed so much for their communities. I am very proud to work with such true patriots! Since returning to Britain in late February we have acquired funding to help in our work. For this we appreciate the work of Chris Took, Charlotte McCaul and James Walker. We then spoke for two hours giving evidence to the Parliamentary Inquiry. Most of our team spoke in Parliament in front of around a hundred spectators as well as parliamentarians. We are a peace foundation and as such we contributed to the World Peace Day service in the Cathedral. 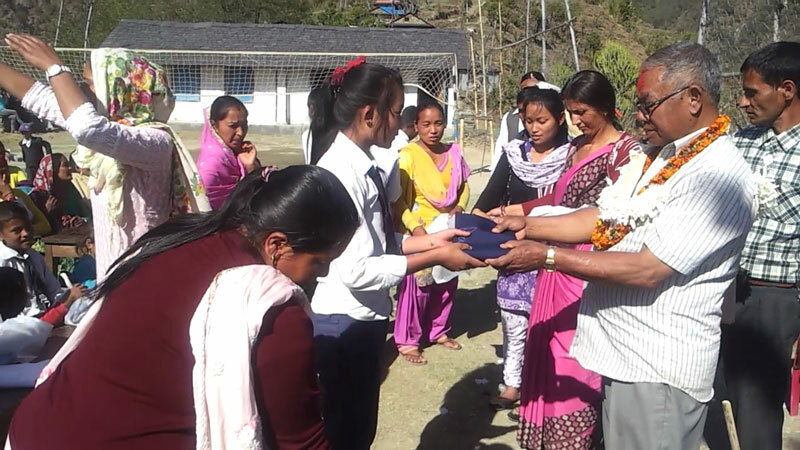 Fourteen years old Syndhie Rai recited our prayer. This year we hope to present the prayers for peace of a ten years old blind boy in Dhahran. Of course peace begins with us and we welcome the growing number of friends who wish to support us. We have an exciting future with fund raising opportunities to back up what we are doing for our communities here and in Nepal. First of all we have a joint musical evening with the Over Sixties Club in Northgate Community Centre in Canterbury which will give us the opportunity of making a presentation for our ten projects that we wish to support in Nepal and enjoy the musical evening and a fish and chip supper for just £10. We must then of course get in training for the Gurkha Walk in the Eastwell Estate, Ashford. 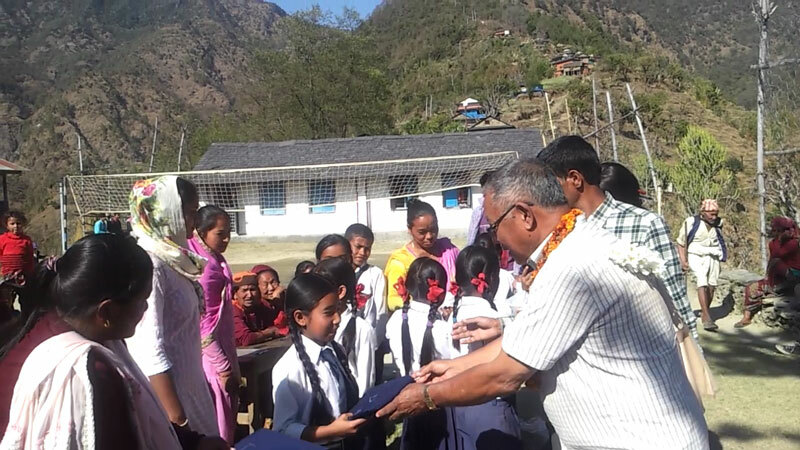 Ours is a unique partnership between our two communities and countries and we hope to build the same reputation that has been achieved within the cauldron of war for humanitarian causes both here and in Nepal.